Be it any kind of exercising, the idea is to make it some fun. And if you have kids at home, then you can easily include them in your exercise regime too. Be it a toddler, teen or even a tween, there is nothing like including them in your exercise routine to help them get some exercise too. Also, when you are keeping them busy with you, there’s less of a hassle for you too, especially mothers with toddlers who are running all over the place. 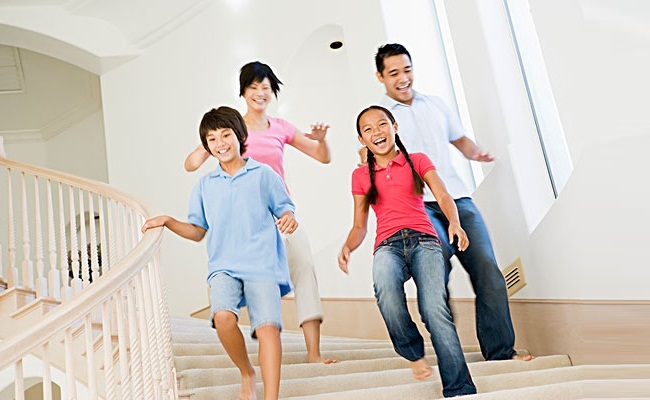 If you have a grown up kid or even toddler, then how about asking them to run up and down the stairs. If you don’t want to exert them, they can help you time the number of times you are going up and down. This easy exercise can be done inside the house, even on days when it is raining or very hot outside. And the best part is that it keeps your kid busy too. If you are trying to get a trimmer waistline then nothing beats the fun out of doing hula exercises at home. And here you can also teach your kid to get involved in the exercise regime or you can use their hula hoop for your workout. It can be done in the garden, terrace or almost anywhere else. 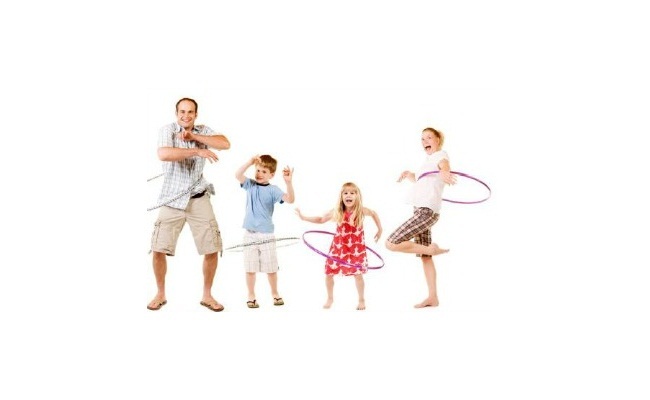 Hula hoops are something both kids and adults enjoy and of course, you can do a complete body workout using these. Skipping is so much fun and if you have kids accompanying you, then it adds to the fun. You can have a parent and kid competition seeing who does the maximum jumps or even something like how fast can both of you go. Sure a lot of fun and involves the kid, keeping them busy. If you have a little one then you can ask them to stand on your feet or use them as additional weights when doing either of these stomach exercises. Since most adults have problems keeping their feet steady on the ground, your kid standing on the feet helps you get that added pressure and intensifies the workout too. If you have a small trampoline in the house then it is perfect for the both of you. 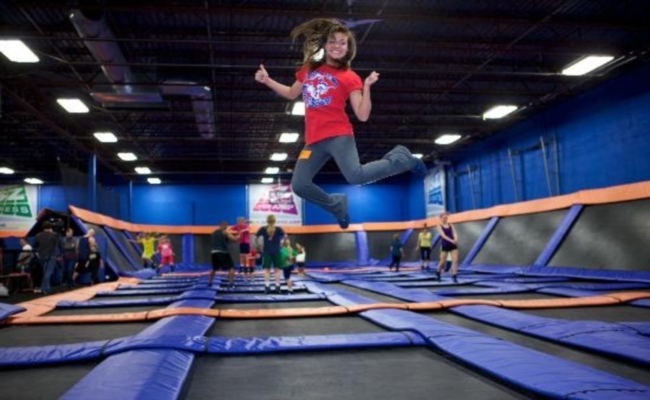 Get on top of that trampoline and start jumping. Here both you and your kid are able to get a good workout and also make the activity a lot of fun, without leaving the comfort of your home. Help your child learn some new dance moves and get rid of all those junk burgers and chips. Sure both mother and kid doing it alone or include the daddy too. Dancing is something that is always a lot of fun, can be done in the house and you can coordinate some new moves here. This one is really a lot of fun. Kids love it because it gives them the chance to get a control over their body. For doing this, you have to stand in a straight position and then squat. Now put pressure on both hands and then simply push back both the legs. Repeat. Kids love to copy their parents. Yoga is something that is easy to do in the house and pretty safe for the kids too. You can try out some easy yoga postures like bow pose, cobra pose, tree pose, etc. Kids enjoy this stimulating activity. Even with toddlers, you can make them sit next to you and enjoy the workout. Mountain climbers are a lot of fun for both kids and parents. 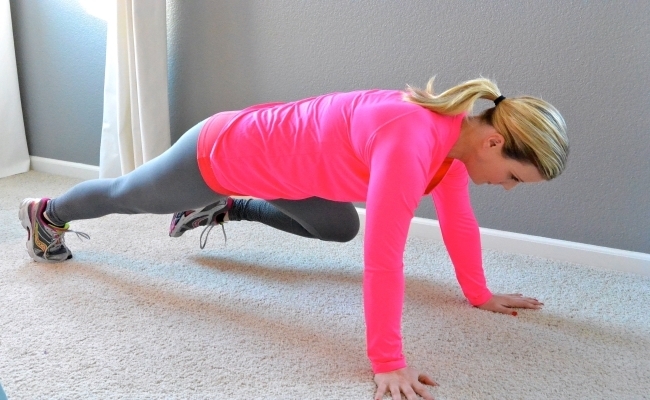 Mountain climbers is basically getting into a plank position. So you lie on the floor on your stomach and then get up, keeping your balance on hands and legs. Now bring right knee as forward to the chest as you can and then take it back. Repeat with other leg, now do this workout as fast as you can. This one is something that kids really love because it reminds them of sumo wrestlers and helps them to get a grip. Squats are basically standing with legs shoulder width apart and then bending down as low as you can. Just make sure that your kid is comfortable and doesn’t stoop to low. A fun and yet enjoyable home routine for both kid and parents. Kickboxing can be made fun, with less intense and playful moves, you can also use little boxer gloves for your kiddo along with a bag to box on.